Update: Aseana Food Village has closed its doors for good and I haven’t heard about the Chef reopening somewhere else / some time soon. 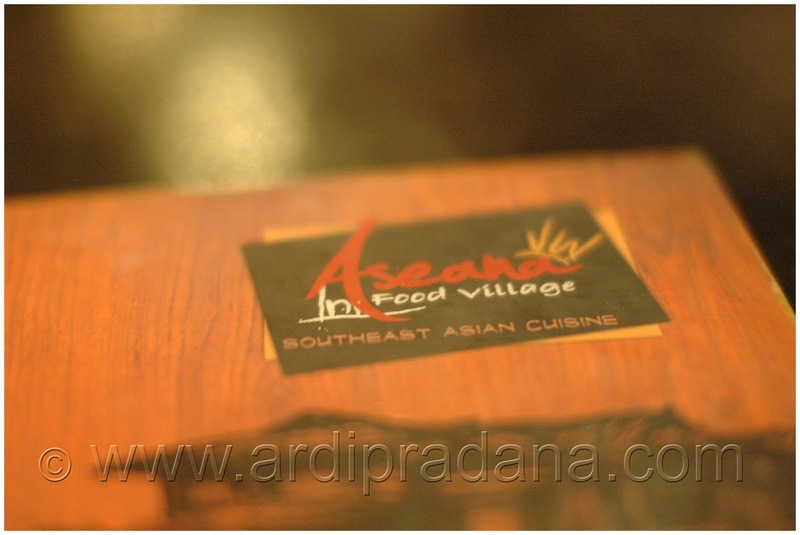 Aseana Food Village offered us a ‘casual street side dining’ experience according to their website. They did deliver the experience by its restaurant décor, hospitality, and most importantly authentic Singaporean (+ Malaysian and Burmese) Cuisine. To illustrate the price range, we didn’t have shared plates like in the usual South East Asian dining but instead we ordered individual rice dishes. In the Mains menu, Beef Rendang is definitely the dish that you should try. Also available as a main menu, our first dish of the day was Lee’s Stewed Duck. This was the only dish that has a person’s name on the menu, so I guess it must mean something to them – I couldn’t find it in Google. 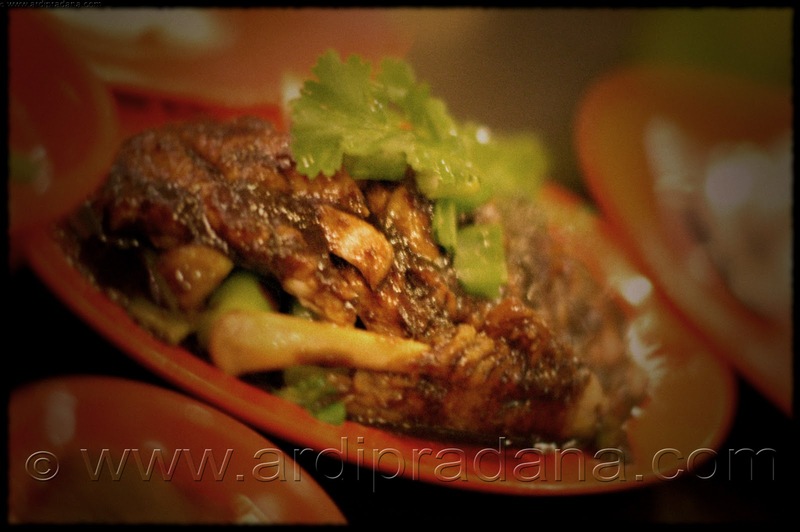 The duck was served on a bed of green veggies. It was incredibly tender and came off the bone easily. It also had a very unique taste to it. Then, Nasi Lemak was brought in a wonderful leaf-like green plate. 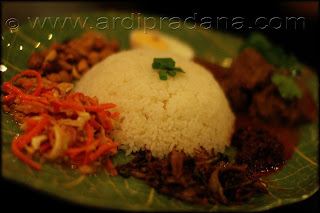 This is a traditional Malaysian dish with coconut rice and a mixture of condiments (pickles, anchovies, sambal, and egg). You could also have a choice of three add-ons to it. 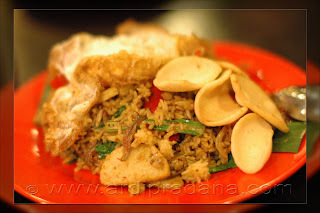 Nasi Goreng Kampong came up next. It was fried rice with anchovies, prawn crackers and a fried egg. Both dishes were just spot-on. They delivered a combination of complementary tastes in each of its elements. For the dessert, I had the Aseana Toast Set. I absolutely love this set, although it was supposed to be enjoyed as breakfast. 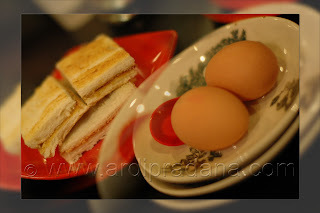 It was a set of traditional toast (with a choice of three toppings – Butterkaya for this occasion), soft boiled eggs and kopitiam drinks (I chose hot Teh Tarik). They provided you with a full guideline on how to enjoy the set and condiments to enhance the taste to suit yours. 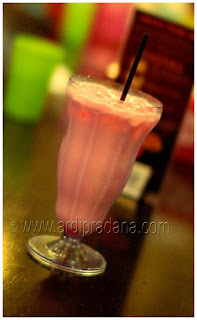 There was also Es Bandung (no affiliation to the city in Indonesia!) 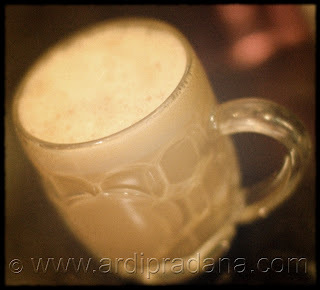 that was made of Rose syrup and condensed milk. The final verdict: Aseana Food Villageis a perfect place to savour wonderful and authentic Singaporean dishes. All of my dishes (and some that I have also tried but excluded on this occasion) were really nice. My most favourite would have to be the Aseana Toast Set. As a point of reference, my Singaporean friend has made Aseana’s Bak Chor Mee his personal favourite in Sydney. He said that this was as close as he can get to the original taste in Singapore.